Managing your health and calculating fitness has always been a problem. However, now you do not have to keep the pen and paper with you all the time to tend to your fitness resolutions of the New Year or write down every calorie you consume per meal, because the fitness apps will do that for you. With hundreds of health and fitness apps available on the Android and Apple’s iOS App Store, even the toughest workout by Beachbody can now be monitored. The smart phone apps will push you to the core so that you get the best workout results. The P90X iPhone appis fun, easy, and is designed to let you stay accountable so that you can push through the fitness plateaus with Tony Horton. 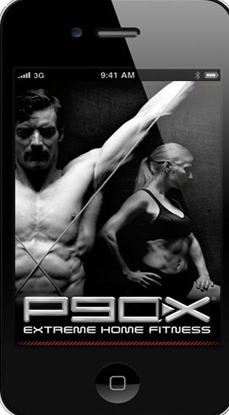 Just go to the Apple App store and get the P90X fitness app for only $4.99 $0.99! This P90X app for iPhone will let you get a hold on the cued versions of the P90X workouts that will help you make your routines mobile. Take them with you where ever you want and do the workouts at your ease. Purchase the Guided workout if you are away from your screens or select the “Track Workout” if you are working out with your P90X DVDs. How to Make the P90X workouts More Interactive on your Phone? The P90X app version will include convenient ways through which you can control your reps, record the sets, and the weights you use to complete the workouts. You can even get customized progress reports after 30, 60 and 90 days. This will keep you motivated while helping you to log your nutrition, and share your amazing results through email, Facebook, Twitter, or Game Center. As everything is going tech-savvy now, keeping a check on your calorie count to lose weight and attaining your health and fitness goals successfully becomes possible through the smart phones for P90X! You can also be a part of this amazing App if you go to the Apple store. 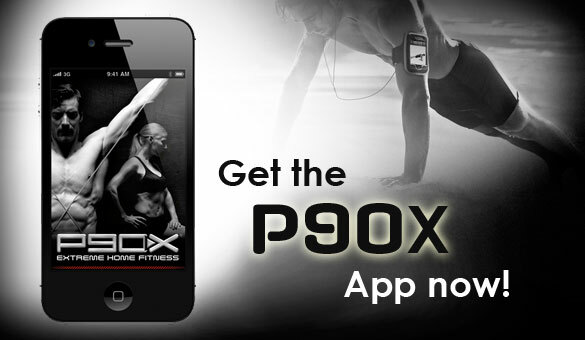 Get the P90X App for mobile By Beachbody, LLC today!